Basketball is intended to be a recreational activity for enjoyment and health. These codes of conduct have been developed by Basketball Victoria to give participants a guide to what is expected of them. 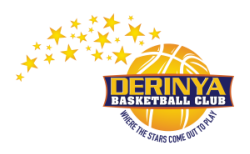 It is intended to assist everyone to obtain the maximum benefit and enjoyment from their involvement in basketball. As a result, the quality of participation will be improved so people are more likely to start and continue their experience in basketball. Enjoy! Play for the "enjoyment of it" and not just to please parents and coaches. Give all players a responsible amount of sport time. Group players according to age, height, skills and physical maturity, wherever possible. As well as imparting knowledge and skills, promote desirable personal and social behaviours. Always respect the use of facilities and equipment. Encourage children always to play by the rules. Do not criticise your or others' children in front of others. Accept decisions by all referees as being fair and called to the best of their ability. Set a good example by your own conduct, behaviour and appearance. Respect your team's opponents, officials and spectators. Encourage players to obey the rules and accept decisions of officials.